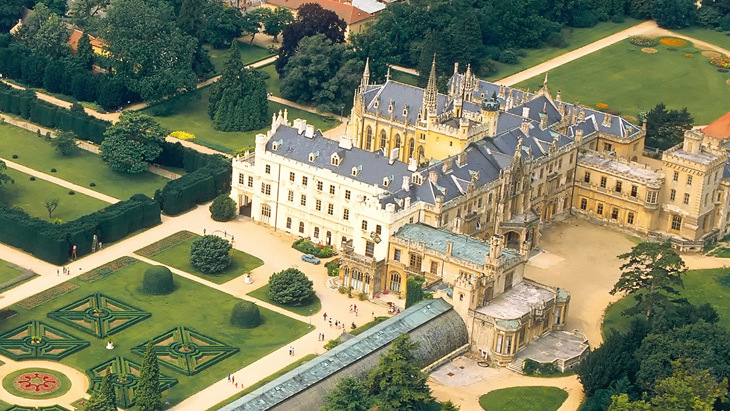 The Lednice-Valtice Complex, registered in the list of monuments protected as World Heritage by UNESCO, is the best-known tourist destination in South Moravia. 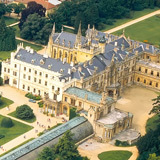 The spectacular Lednice and Valtice chateaux are surrounded by a unique park, which has been cultivated for centuries and is the combination of an elegant French garden and beautiful English park. All the roads in the park lead to the Minaret and all the sights are connected by a network of bike roads. Lednice chateau is a neo-Gothic building was used for summer meetings of the European aristocracy; Valtice was the residence of the Austrian and Moravian Lords of Liechtenstein and is also known for its tradition of winemaking as the area of Pálava was regarded as suitable for the cultivation of wine. Not only can you enjoy one of the most luxurious and largest landscapes in Europe (measuring almost 300 km2), but also a glass or two of great Moravian wine. The area of the Garden of Europe is close to Mikulov, where Pálava Landscape Protected Area begins. The town of Mikulov offers all varieties of entertainment; be it active rest in beautiful nature of the region, sightseeing the architectural jewels or just having a glass of the delicious wine. The picturesque town of Telč is a Renaissance pearl of the South Moravia. 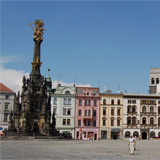 The town, whose appearance dates from the 1500s, has arguably one of the most beautiful squares in Europe.